A great brouhaha has erupted in the U.S. presidential campaign over charges that Donald Trump is a Kremlin tool because of his desire for friendly relations with Russia. Trump is being condemned from almost all quarters, even by those Democrats who in the past could be categorized as peaceniks, but the strongest opposition to Trump comes from the neoconservatives, who are the most ardent in taking a hard line on Russia. A number of them are actively supporting Hillary Clinton after being allied with Republicans since Ronald Reagan ran for president in 1980. Now, the neocons are noted for being staunchly pro-Israel, maintaining that Israeli and American interests coincide. Yet neither they nor, for that matter, the American mainstream media have acknowledged the fact that Israel and Russia are developing a close relationship, which encompasses economic and security measures. That closer relationship is illustrated by Israeli Prime Minister Benjamin Netanyahu’s three visits to Moscow since September 2015 to meet with Russian President Vladimir Putin. 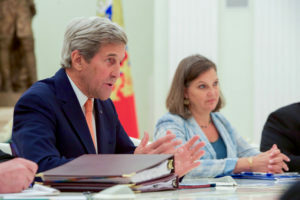 While frequently described as America’s best ally, Israel has essentially placated Russia by distancing itself from the United States on the Ukrainian crisis, even refraining to vote on the U.N. General Assembly’s non-binding resolution that affirmed the “territorial integrity of Ukraine” and declared Crimea’s secessionist referendum to be invalid. The resolution passed by a vote of 100-11, with 58 abstentions. According to Israeli media, Jerusalem agreed to issue the statement only after it was pressured to do so by the U.S. administration. The neocons should have found themselves in a difficult position here since they were portraying Russian actions as an effort to recreate the Soviet empire and replace democracy with tyranny, thus posing a threat to American security. Some neocons said failure to take strong action would invite aggressive action by regimes around the world. 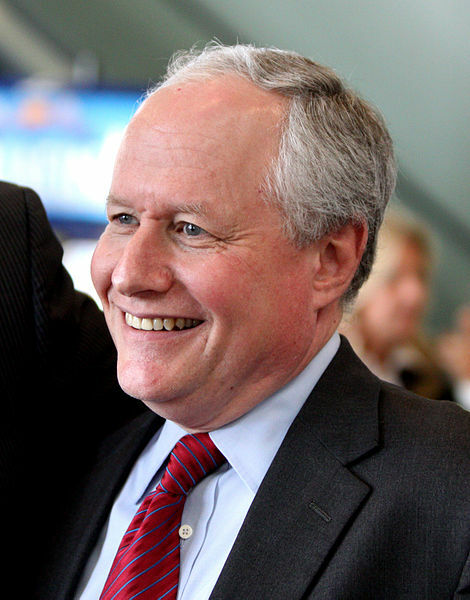 After fuming about the evil and grave danger of the Russian “invasion” of Crimea, the neocons were largely mum about Israel’s failure to vote against the Russian action in the U.N. Bill Kristol’s Weekly Standard did not even mention Israel’s abstention. Although generally ignored by the American mainstream media, Israeli-Russian relations have been improving for some time despite Russia’s support for Iran, Syria and the Palestinians. The improvement stems in part from the fact that both countries have a common interest in opposing Islamic terrorism. Unlike the United States and Western Europe, Israel fully supported Putin’s ruthless suppression of the Chechen rebels. It was Putin’s role in the Second Chechen War, which he launched on Sept. 30, 1999, when serving as prime minister, that gave him the favorable publicity to be elected president. Since becoming president in March 2000, Putin has worked for better relations with Israel. Meetings and telephone conversations between Russian and Israeli officials have taken place on a regular basis. Though the meeting did not iron out difficulties involving Russia’s support for Israel’s enemies — which largely continue through the present — the visit was a landmark in the development of improved relations between the two countries. His words went over quite well with Israelis, but the portrayal of the Red Army as liberators would require substantial caveats for many Eastern Europeans. It should also be mentioned that Putin’s Russia has treated Russian Jews very favorably, especially in contrast to the way they were treated in the Soviet Union from the latter part of the Stalinist era. In late 2012, what is purported to be the largest Jewish history museum in the world opened in Moscow — the first Jewish museum to exist in Russia for more than 60 years. Its construction was funded by oligarchs close to Putin who himself personally donated one month of his salary. It is true that many of the oligarchs who dominated Russia during the Yeltsin era were Jewish, and Putin did remove a number of them from their positions of power. Some fled the country or served jail sentences, or did both; and a few died in questionable circumstances. But those Jewish oligarchs were removed because of their opposition to Putin rather than their Jewish ethnicity. Many Jewish oligarchs who have supported Putin have continued to flourish, and a high number of new super-wealthy Jews have emerged under Putin’s rule. Leading ones include Alexei Miller, Oleg Deripaska, Vladimir Potanin, Roman Abramovich, Michael Fridman (or Friedman), Moshe Kantor, Lev Leviev, Viktor Vekselberg, and Arkadi and Boris Rotenberg (Putin’s judo sparring partners in his youth). Asa-El observed also that there is no reason for Israel to take part in “distant East European squabbles” that don’t really concern Israel’s interests. Now those are very justifiable reasons for Israel not to become involved in Eastern European affairs; in fact, they should be a guide for the United States as well and should pertain to relations with Israel and the Middle East as well as with the rest of the world. If Washington were to follow Israel’s wise policy, it would certainly be much less supportive of Israel, since its current unwavering support of the Jewish state harms its relationship with the rest of the Middle East, ensnares it in unnecessary wars, and makes it a leading target for Islamic terrorists. It is also the case, however, that Israel’s position is not simply one of non-involvement but is actually antithetical to current U.S. policy. Both Russia and Israel are interested in expanding their mutual trade. Russia is especially interested in acquiring Israeli technology; Israel, in turn, is interested in being a world leader in advanced technology — especially that which has military applicability. For example, Israel has been the world’s largest exporter of UAVs (unmanned aerial vehicles — drones), many of which have military applications. More needs to be said about Israel’s sale of (unarmed) drones to Russia, which began in 2010 and continued after the conflict began in Ukraine between Russian-backed separatists and the U.S.-backed Ukrainian government. By providing weapons and even American troops to countries on Russia’s border, the United States is essentially defining Russia as an enemy — and the neocons take a very hard line on that issue — so Israel, from this perspective, is equipping America’s enemy. By the first decade of the 21st Century, the Russian army had fallen far behind the West in terms of high technology; Russia had greatly cut spending on its military in the 1990s. UAVs require miniaturized components, which had always been a challenge for Soviet industry. If it were not to become a second-rate power, the Russian army needed to modernize. In 2012, David Axe wrote in Wired magazine that Russia was 20 years behind the United States in drone technology and that it lagged not only behind the United States in this area but also behind many other First World militaries. 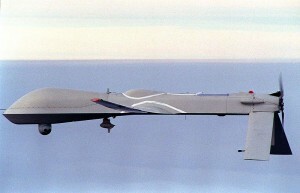 Its weakness was made manifest in its 2008 war with Georgia, which was equipped with Israeli-made drones. While Russia is a new entrant in developing sophisticated drones, it supposedly has recently taken the lead in developing a hydrogen-powered drone that is able to stay aloft far longer than previous types. So in one important respect, Russia, as a result of help from Israel, has developed drones that are superior to those the United States possesses. What did Israel expect to gain from selling drones to Russia and contributing to its ability to manufacture drones? Obviously, it wanted to increase its exports and imports of key items. Furthermore, Israel likely wants to use the sale of UAVs as leverage to persuade Russia to curtail its provision of sophisticated military hardware to Iran and Syria. Those few pro-Israel observers who openly acknowledge the Israel-Russia rapprochement argue, basically, that the alleged retrenchment of the United States from the Middle East — especially in its unwillingness to remove Syria’s Bashar Assad and its purported appeasement of Iran in the nuclear agreement — has forced Israel to come to terms with the new dominant power in the Middle East, Russia. There is also an energy factor in the growing Israel-Russia cooperation. Russia would like to participate in the development and exploitation of the massive offshore Tamar and Leviathan natural-gas fields, which were recently discovered in Israeli waters. The gas needs to be efficiently extracted and transported to markets, and Russia has expressed interest in performing those tasks through its state-controlled company Gazprom (the Russian government holds a 50.1 percent interest). 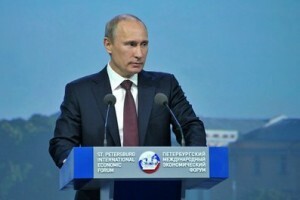 Moscow would like not only to profit from the venture but also to prevent competition with its own gas sales to Europe. From the Israeli perspective, Gazprom has the technical and financial ability to develop the gas reservoirs and market the gas to customers. Russian participation in Israel’s gas industry would give Israel leverage over Russia to induce it to protect Israeli interests. In fact, Russia’s very presence could play a direct role in maintaining the safety and security of Israel’s gas infrastructure, preventing possible attacks by Iran, Syria, or Hezbollah. While Israel has a definite rationale for cozying up to Russia, it still seems odd that America’s supposed best ally is acting contrary to American foreign policy while it receives more foreign aid from the United States than any other country — including cutting-edge military technology — as well as guarantees of military protection, and also can rely on Washington to veto every measure brought up in the U.N. Security Council that Israel deems to be contrary to its interests. American military aid to Israel is intended to provide Israel with what is termed a “qualitative military edge” in conventional warfare over its enemies even if they joined together. And in any possible war, Israeli damage and casualties would be minimal. Furthermore, the United States actively works to guarantee a regional nuclear monopoly for Israel. In short, the United States guarantees that Israel will remain, by far, the dominant military power in the Middle East. “U.S. aid comprises a small percentage of Israel’s economy, but it frees up a significant amount of resources for research and development. IAI (Israel Aerospace Industries) is at least partially subsidized by the U.S. government, which provided funding for the development of the Iron Dome missile defence system. While Israel is working at cross-purposes with the United States regarding Russia, virtually nothing about it gets mentioned in the American mainstream media. As pointed out earlier, Israel, of course, is acting not foolishly but in its own interests. Given the power of the Israel lobby in the United States, the pressure on Israel to cater to American foreign-policy goals is minimal. In contrast, despite a fairly substantial Jewish population in Russia and the existence of Jews with considerable wealth, no equivalent Israel lobby exists there. Thus, to gain favor from Russia, it is necessary for Israel to reciprocate diplomatically. But why do the neocons take a position hostile to Russia? For one thing, they not only concern themselves with advancing Israel but pursue other interests as well, though the welfare of Israel is primary. The neocons are hostile to Russia for a number of reasons, which include Putin’s authoritarian rule; his support for traditional values such as state-supported Russian Orthodoxy, heterosexuality over homosexuality, and raising the Russian-ethnic birth rate; his opposition to American globalism and “regime change” strategies; and his aid to Israel’s enemies. Though it is speculative, I would like to advance one explanation that aligns the neocon position on Russia with Israel’s interests. By generating greater U.S. hostility toward Russia, the neocons push the U.S. government to place more sophisticated weaponry on Russia’s borders, which, in turn, causes Russia to seek more high technology with military applications from Israel. If Putin were a diabolical threat to the West, as claimed by the neocons and much of the mainstream, how could a truly good country, as Israel is purported to be, be friendly toward Russia to the extent of strengthening its military power? Given the mainstream media’s depiction of Putin’s Russia as Hitlerian, it would be the equivalent of a country voluntarily (sans military pressure) arming Nazi Germany during World War II. It follows that if Israel wants to befriend and aid a “dangerous enemy” of America and the West, it is not the ideal ally it is purported to be, and the United States should curtail its support for it. On the other hand, if Israel is really a stellar country, then Russia must not be such an evil and dangerous one, and Washington should cease treating it as an enemy. That would be the logical approach, but one can be assured that in the mainstream discourse, it is not logic but doublethink that ineluctably prevails in discussions about Israel. I see I am outnumbered here. Your arguments on the Palestinian issue are often fairly persuasive. But you argue from factual premises that in my opinion are not based on any serious study of the Arab-Israeli conflict, by which I mean you do not seem familiar with the actual events that have occurred in Palestine over the last century. I think that is an important objection, from my own personal experience: I had always had the impression that Israel deliberately provoked all or most of the wars in which it has been involved. However on reading about the events of 1920, 1947-48, 1967 and 1973 in Wikipedia and elsewhere, each time I wound up concluding that I had been mistaken. In each of those 4 conflicts between Jews and Arabs in Palestine, it was the Palestinian Arabs, backed by their cousins elsewhere, who had deliberately provoked the conflict, often justifying their actions with illogical or otherwise hazy statements. I have come to seriously doubt much of the Palestinian argument that is so vociferously espoused by what is, for some reason, still called “the Left”. Perhaps another way of putting it is that it seems that in order to support the Palestinian side you have to flatly ignore a lot of facts. I am open-minded and suggest that if you want to change my mind, you should point me toward serious academic work, not just hack lit. Israel, together with its powerful US lobby, has the power to ruin the career and reputation of any US president or congressperson, simply through a combination of accusations of antisemitism and the bankrolling of his/her opposition. That keeps US money and war toys flowing into Israel. Let’s wait and see if that kind of blackmail works on Putin or his successor. In the meantime, what needs to be factored in here is that Washington has effectively driven Moscow into the arms of Beijing largely by coercing America’s European vassals into joining Washington in slapping sanctions on Russia. Xi has recently responded by inviting Russia to join China in an alliance that moves beyond their already established economic relationship — an alliance that (in Xi’s words) will render NATO powerless against them. China’s economic power and Russia’s superior military know-how (I’ll bet Russian engineers are reverse-engineering those Israeli drones right now), would make a formidable team. Together, they have got much bigger fish to fry than Israel — which is called One Belt One Road, a super-megaproject that involves those Israeli enemies as important partners. What a bunch of whiners. This Israel-Russia bond is good news. If, as the writer hopes, the US gets on board the peace train more good will blossom and hopefully enemies of Israel will, by dint of momentum, deal with the Jewish state. I have news for you, Israel is not going away, especially now that we have more and more countries treating Israel as an equal, as a trading partner, as a high-tech expert. The Palestinian issue is thorny but it won’t get solved by dredging up the Liberty, etc. Because pretending it never happened has worked out so well right? Somehow the overtly instigative actions by Israel, of Netanyahu pushing for war and war actions against Middleeast nations, in U.S. Congress and U.N. assemblies, and Israel ‘fencing’ the Da’esh stolen oil that 1. financed the Da’esh military campaign, 2. financed Turkey’s staging of Da’esh in aid of its campaign and 3. glutted the world oil market to push oil prices down in coordination with the other economic sanctions and “hybrid war” attack strategies all coordinatedly launched against Russia, and effective until Russia launched its aid-to-Syria campaign, enabling it to destroy the Da’esh stolen oil convoy pipelines and end the theft-transport-sales network that would have been illegal had Israel not been the fence and Israel’s goon-stooge, the USA not been the blind-tiger cop on the beat. But now that Russia has changed the game there, and the costs of the failing Western campaign are carrying the U.S. and E.U. to the brink, with no way to stop going over, hey, what can “stellar” nation Israel do but try to get a foot on board the Asian Economic Alliance Partnership, to be able to step away from the Western ship the “good” nation, with its international backers, has plundered and wrecked to a hulk more apparently sure to go down than the Liberty. Evangelista. I would be interested in some sources for ‘naked manipulation and double dealing’ in the 20’s. Care to share? 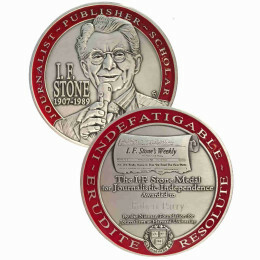 Look for “When Money Dies” by Adam Fergusson. 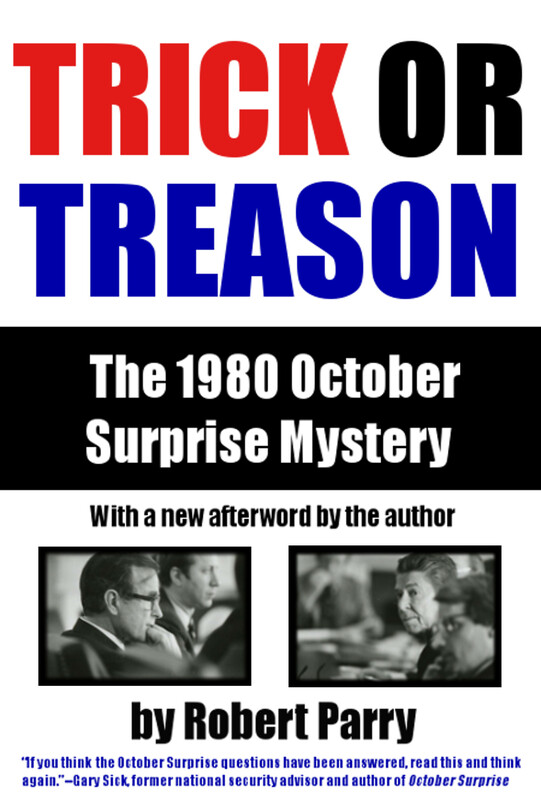 See if your library can get you “The Greatest Swindle in the World. The story of German reparations” on interlibrary loan. That one opened my eyes to what happened in Germany after WW1. Until the gigantic thefts by Big Bankers in 2008 USA, I’m not aware of a bigger financial crime. There may have been others, but they’re unknown to me. The criminals wiped out the internal debts, destroyed the savings of millions of Germans, stole huge sums from Americans, and laid the foundation for WW2. Anti Semitic moron-ism on full display. Please regale us from your worn file folder with torn clipping and fading articles on “Rothschild banking conspiracies”, the Illuminati, the Masons, Lloyd George, etc….. It’s all so entertaining. The problem with a democratic ethos is people who don’t know they don’t know how to know, find a way to push their crazed ignorance into the public form, either for their own ego satisfactions, or to further the agendas of the propaganda and forgery writers. From the Czars secret police to today is a short ride. As opposed to plain old Moron-ism? Besides name calling and what appears to be a makebelife you are superior, you haven’t added anything…..useful. Just saying. Criticizing Israel hardly constitutes Anti Semitism. Must be something you wish others NOT to discuss, otherwise you would have added something worthwhile. Yes? I don’t hate anyone, Northern Observer, including Arabs, Palestinians, Ethnic Jews and any other Semitics. I tend to be more on than off in my observations and deductions, so maybe you have me there. I am, alas, without any torn clippings or faded articles in re. the topics you name. But I am curious about such things, so if you can provide photo-stats of your collection, I will be interested. Also, if you can provide me a copy of, or directions to a source for, the origianal and authentic “Protocols of the Elders of Zion”, that the known “Forgery” is a forgery of, I will be most grateful, having been a-hunt for that for ages, with no success. (I expect, though, that you won’t have any more success in that line than I, since, if you read the “forgery” you will come to a line that asserts the “original” made by the writers of the Septuagint… An assertion that you can’t help but recognize, from only the writing to that point, to evidence the writer a hack with a HUMONGUS Ego, but no idea what intelligence, intellect or literary capability might possibly be. Not convinced israel actually has an interest, common or otherwise in combating islamic terrorism. A crazy person might even wonder why it seems to, in fact actually benefit Israel. I’m not crazy tho. — does that approach autocratic behavior? supported by wee the people? Israel has been attacked once in 1973 and I don’t believe ever in its own territory (but it has no internationally recognized borders, which disqualifys it from legal statehood). Any “security” issues are self inflicted and are resistance responses to brutal murderous and illegal aggression. Iran has attacked no country in the modern era unless at war (Iraq per U.S support). 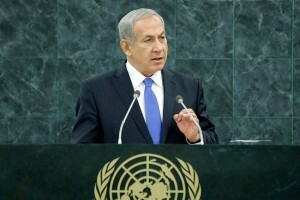 It poses zero threat to Israel and has no stated policy of aggression toward Israel. Media propaganda to the contrary is false. Syria is all too aware of Israeli nukes and has only responded to Israeli illegal occupation, Golan, terror or aggression, and it has all but given up on the lucrative and strategic Golan occupation. Hezbollah is a military resistance to repeated attacks by Israel within Lebanon. It never existed until israel illegally invaded in 1982(?) and formed to defend its legal sovereign nation. It is a resistance to the terrorist state of Israel funded by the larger global terror threat the USA (our US tax dollars at work). Hamas and its pre-WW1 rockets are 99% retaliatory to Israeli aggression and terror , either mowing the lawn in Gaza or brutal inhuman policies in the occupied West Bank. I know Stephen is fully aware of all this, but I had to clarify with my $.02. That doesn’t disqualify it from legal statehood. The state existed, but its annexation of Jerusalem is not recognized. The border between Yemen and Saudi Arabia was undefined – that didn’t mean Yemen and Saudi Arabia didn’t exist. If Netanyahu isn’t just playing Putin for the fool, and if Russia is allowed to advocate for what’s good for Russia, then Truman should have definitely listened to George Marshall. Marshall insisted that Truman stay out of the Jewish Palestine state issue, because it wasnt good for our own American interest which was mostly oil, and that by recognizing this new Zionist state would be literally going against our well respected American good name. Remember Marshall’s State Department had built up a working relationship with the Middle East Arab leaders at that time, so this Palestine/Israel state and name issue was in Marshall’s eyes was seriously bad for business. America needs leaders who will finally put their foot down, and say enough is enough. Take a lesson from Putin. 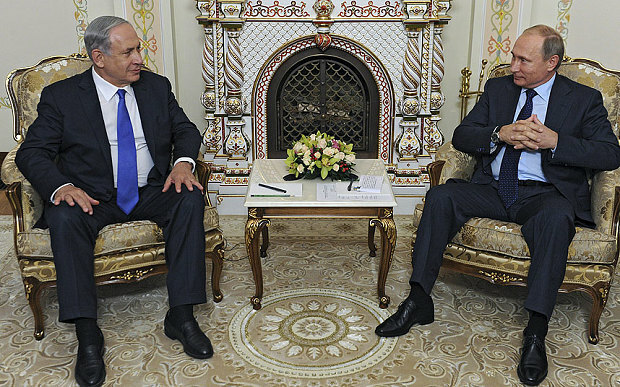 Putin seems to have a new friend in Bibi, and yet he is still serving Russia’s interest. Of course both of these leaders could be stabbing each other in the back, but for now Putin hasn’t had to sell his soul all for the love of dear sweet Israel. George Marshall scolded Truman for taking the Israeli lobby money for his 1948 presidential campaign, as Truman in return recognized Israel as a state. Marshall thought that this divide in Palestine belonged to be settled at the UN, but Truman decided otherwise. Netanyahu does a lot of things we don’t like, but you can’t say he isn’t a smart politician. Netanyahu could possibly see how Russia may replace the dominant U.S. in the Middle East, and hey Bibi’s gonna be there. Netanyahu also could be a conduit for Hillary, and likewise Vlad. Picture Bibi in the middle of a Hillary to Vlad conversation. Bibi would be in heaven if Hillary and Vlad didn’t speak to each other, but only through Bibi. Okay, I’ll stop, but I can see how Netanyahu by doing everything diplomatic could come out ahead no matter who ends up on top…or at least that could be the plan. Putin I’m sure knows what he is dealing with, but it would be a mistake for if he were to forget who brought him to the dance. Putin knows why Erdogan, and Netanyahu are now his new BFF’s, because this coming year will be remembered as the year that Russia and China aligned their two nations militaries together, and to say they are now open for business. Although the U.S. is quite a lot bigger than Russia and China with it’s defense spending budget, it could come down to who spent they’re money more wisely. Netanyahu wouldn’t bother visiting Putin four times so far this year, if it were not good for Israel. The U.S. is a global military, but Russia and China combined may be able to cover they’re bases just fine in a defensive manner. I’m not even going to try and contemplate who would win in a large battle, or even if it wouldn’t just go nuclear within the first day, but if you like hedging your bets then just book a flight to Moscow, and say hi Vlad let me buy ya a drink. Yes, there is now hope. 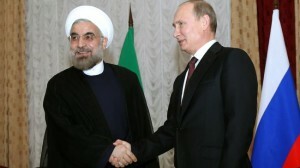 Now Turkey, Iran, and Russia are well positioned to make a great peace initiative. Simply make a deal with Israel to move to Cyprus with its vastly better natural defenses as an island, at the expense of building mansions for the Cypriots in Turkey or Greece (paid for by funds lost by the US DOD). Now Turkey has Palestine which it donates to Daesh and AlQaeda with one-way tickets. Now the Sunnis of E Iraq move to Syria or ISIsrael as they please, making room for the separatist Kurds of Turkey (at some distance from Turkey). Everyone lives happily ever after without a hint of disharmony. If the US spent on this what it has wasted in destroying the Mideast for fifteen years, it could pay these thirty million happy migrants about one hundred thousand per household plus infrastructure, a mini-mosque for every family in a thousand McMeccas. Now if Israel does not agree, the best thing Russia could do is to give Daesh, AlQaeda & the Chechens free tickets to south Syria, Saudi Arabia, Egypt, Jordan, and Gaza, and have them attack Israel. Russia arranges to “defend” Saudi Arabia and Egypt to preclude US intervention. With all those US SAMs etc, they should get past any air force and into the cities for some door-to-door exercises. Any Israeli first-use of nukes (if they really have any) would be on their own territory. Such neighbors should make Israel consider Cyprus an attractive option. It is nice that all unwanted behavior by Israel (as well as Saudi Arabia and Turkey) is always blamed on the U.S. not doing enough to them but we never extend this graceful attitude towards Iran or Syria. Nope, those countries are just plain evil. Although Israel has been involved in selling UAVs to Russia, which can be used for military purposes, Israel apparently is not transferring actual American military technology to Russia, as was the case in its dealings with China. I”m glad the author included the word “apparently” here. His entire theme is that Israel looks out for #1 in all instances, and they DO have a track record of selling technology they’ve been given or stolen to just about anybody if the price is right. As for Russia becoming ‘hooked’ on Israel for UAVs, I doubt it. Israel simply got an earlier start than anybody else with that technology, and it’s cheaper – and safer! – for Russia to play catch-up by buying the devices for a while. It’s my opinion Germany has kept giving its super-advanced submarines to Israel to assist sales with other nations. Longer term, Israel is going to sell the secrets of those silent subs to other interested parties. Ditto for any really nice parts of the F-35. Engine, radar, stealth materials – stuff like that. Despite being an extremely unreliable “ally”, Israel continues to watch US taxpayer money arrive by the boat-load. So why on earth would the murderous and thieving little nation change its ways? PREMISED ON PRESUMED ISRAELI WORLD HEGEMONY? hegemonic illusions) of Israeli leadership. Palestine is mentioned once sayhing Russia supports them. But then, as the saying goes in the US, “business is business”. all as it wishes and Russia and its allies are weak etc. nice and accept their oppressions. Once more, thanks to Zachary Smith for his comment. Provocative article, but surprised by the contention that the US was unwilling to oust Assad and our appeasement of Iran. A hint of where the author is coming from. But the article does make one thing clear. Israel does what it thinks best for Israel and its control of American policy in the Middle East causes it to ignore what would otherwise be condemned as working against our Cold War aims and our commitment to human rights in general. Doing what is best for Israel and pushing a stick in our eye of its “friends” is not new. The British sponsored immigration of Jews at the end of World War I but when the British attempted to be even handed, they faced a guerrilla war by the Jews, who had already found a more powerful sponsor in the United States. 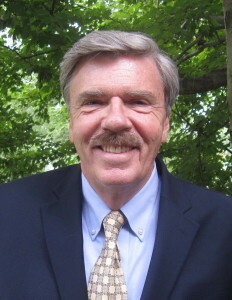 There are numerous examples such as the attack on the USS Liberty, their rapport with apartheid South Africa, and those instances cited by the author. America is corrupted by our special interest politics and there is no greater example than our treatment of the Jews and Arabs in the Middle East.